New Year started with great fervour at TLP with an invigorating brainstorming session by Ms Urvi Mohan, Advocate-Delhi High Court, on 19th January 2019. She conducted this session on the topic: "RECENT DELHI HIGH COURT JUDGEMENTS ". She also shared her experience of initially working with a corporate, then moving to a grade ‘A’ law firm and finally coming to Delhi to follow her passion for litigation. Ms Mohan had the attendees hooked to her session from the word go. She created an environment of an energized classroom with questions she put in between, which were answered enthusiastically by the interns & employees who attended the session. Ms Mohan also kept room for a Q&A round at the end where all attendees got a chance to clarify any doubt they had regarding topics she discussed. 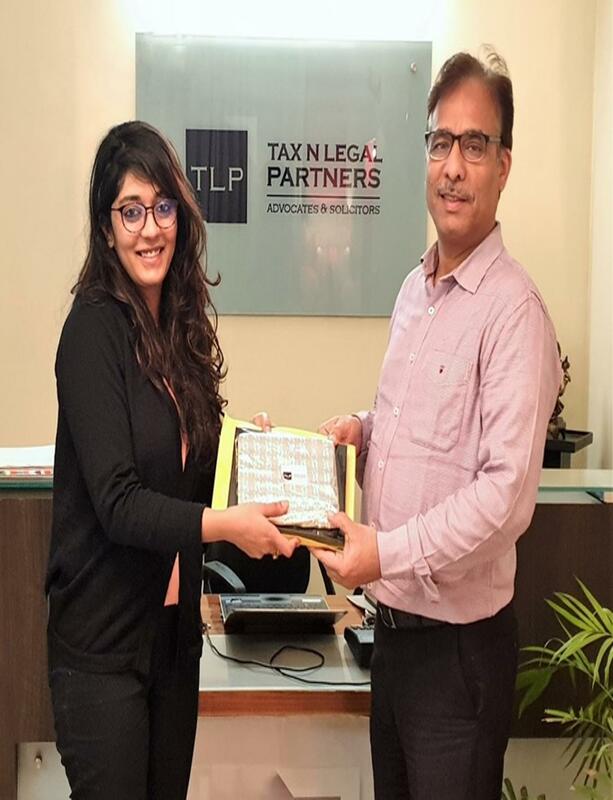 Tax N Legal Partners is extremely thankful to her for taking out time from her extremely busy schedule and giving a great start to all of us at TLP. In pictures, she is seen with Mr Sharad Tewari our Founding Partner who welcomed him before the session and with a rapt audience.